How are GMOs and Roundup linked to cancer? 1. The very process of creating a GMO creates side effects that can promote cancer. Monsanto’s Roundup Ready corn, for example, has higher levels of putrescine and cadaverine. These are not only linked to cancer and allergies, they produce the foul smell of rotting dead bodies. 2. Bt-toxin, which is manufactured by the altered DNA in every cell of genetically modified varieties of corn, cotton, and South American soy, pokes holes in cell walls. It may create “leaky gut,” which is linked to cancer and numerous other diseases. 3. 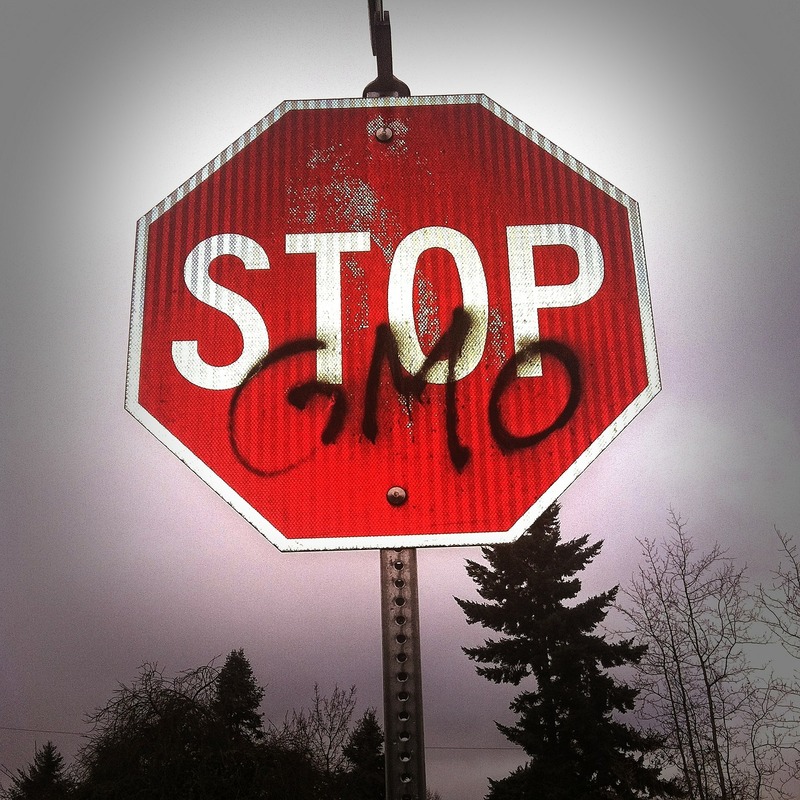 Most GMOs are “Roundup Ready”—designed to be sprayed with Monsanto’s Roundup herbicide. These include Soy, Corn, Cotton, Canola, Sugar Beets (for sugar), and Alfalfa. Glyphosate, the active ingredient in Roundup, is classified as a class 2A carcinogen by the International Agency for Research on Cancer (part of the World Health Organization). They said it probably causes cancer in humans, does cause cancer in animals, does cause mutations in DNA that can lead to cancer, and where it is heavily sprayed, cancer rates are higher. 4. Roundup is also sprayed on numerous non-GMO crops just before harvest as a desiccant, to dry down the crop as it is killed by the herbicide. Some of these other crops include: Wheat, Oats, Flax, Peas, Lentils, Dry Beans, Sugar Cane, Rye, Triticale, Buckwheat, Millet, Potatoes and Sunflowers. Canola, Corn and Soybeans labeled non-GMO may also be sprayed with Roundup. 5. To avoid Roundup, eating non-GMO is not sufficient. It is better to choose organic, which does not allow the use of GMOs, Roundup, or other synthetic poisons. (Products labeled both Organic and Non-GMO Project Verified are even better, because the latter requires tests for possible inadvertent GMO contamination.) Since Roundup is sprayed on most US cotton, residues are found in cotton products including tampons. BUY ORGANIC! 6. Several cancer rates in the US are rising in parallel with increased use of glyphosate on GMO soy and corn fields. These include leukemia and cancers of the liver, kidney, bladder, thyroid, and breast. 7. In Argentina, the rate of cancer in communities living near Roundup Ready soybean fields has also skyrocketed, as have birth defects, thyroid conditions, lupus, and respiratory problems. 8. The following are just some of the health effects of glyphosate, all of which are known to increase cancer risk. Glyphosate: a. Damages the DNA b. Is an antibiotic c. Promotes leaky gut d. Chelates minerals, making them unavailable e. Is toxic to the mitochondria f. Interferes with key metabolic pathways g. Causes non-alcoholic fatty liver disease h. Degrades into Sarcosine and formaldehyde 9. The full Roundup formulation is up to 125 times more toxic than glyphosate alone. It also has a greater endocrine disruptive effect. 10. Thousands of people how were exposed to Roundup and are now suffering from non-Hodgkin’s lymphoma are suing Monsanto. The lawsuit forced Monsanto to make public secret documents, emails, and texts. These are smoking guns, providing clear evidence that Monsanto colludes with government regulators, bullies scientists, ghostwrites articles, pays off journal editors and scientists, and publicly denies evidence of harm that it privately admits to. (Watch the speech for some pretty shocking revelations.) I ended my talk by introducing a peer-reviewed article that was recently accepted for publication. It features survey results in which 3,256 people describe significant improvements in 28 conditions after switching to non-GMO (and often organic) food. Of the 155 people who reported improvement in cancer after making the change, 23% said there was “Significant improvement,” 17% said the condition was “Nearly gone,” and 42% had a “Complete Recovery.” We will send you information about how to access that article as soon as it is public. My new film Secret Ingredients, created with Amy Hart, has an excellent section on cancer. Information on the film and the new peer reviewed article are coming soon.